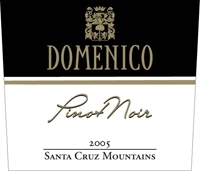 Owner and winemaker Dominick Chirichillo (Dominic in Italian) has an ambitious lineup of multiple varietals he produces from his winery on the San Francisco Peninsula. Since beginning in 2005, the winery has won multiple awards in competitions. Grapes are sourced from the Santa Cruz Mountains and other California appellations. Annual production is 3,000 cases.